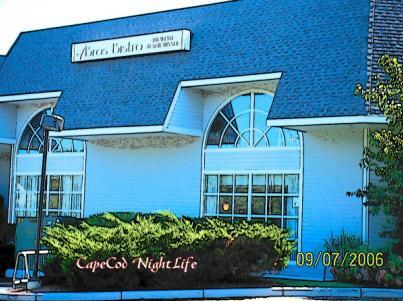 Located at the Cove Resort in West Yarmouth is the 4Bros Bistro. Formerly known as the Atrium, this up and coming night spot is under new ownership and offers a great new taste in the restaurant/bar industry. This elegant restaurant overlooks a large in door swimming pool and is a great place to watch your favorite sport teams on the multiple flat panel TVâ€™s or grab a seat in the lounge and watch it on the big screen. This restaurant/sports bar offers a wide array of food with half price appetizers every night of the week at the bar or lounge. Donâ€™t forget to try their â€œbucket oâ€™ beersâ€ offer which consists of any five domestic bottles for $11.00 or add a large one topping pizza for $15.00. Not into domestics? Then for a dollar more add any five imports instead. They even offer food delivery to the poolside if you are staying at the resort. This bar offers live entertainment on Friday nights from many local bands. Football fan? Monday night football party all season long and on Tuesdays, Liz Solomon and Steve McVie host karaoke for all you people who love to get up and sing. Whether youâ€™re looking for a great meal or a little time away to enjoy yourself with friends, stop by and pull up a stool and enjoy one of the Capes newest night spots. There is never a cover charge.